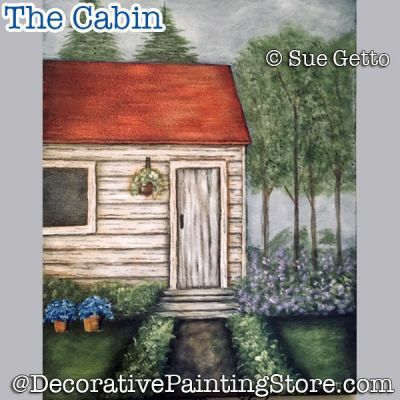 Cabin with trees and flowers. Pattern approx. 9"x12". Enlarge or reduce to fit your surface.